Things to do in Treviso. Book your activity ! 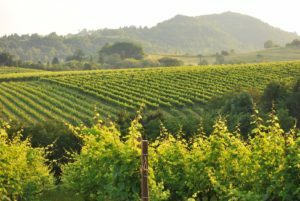 Vespa trip Italy: live la Dolce Vita in the enchanting Prosecco hills! Sile river natural park: enjoy it in a kayak or by bike! 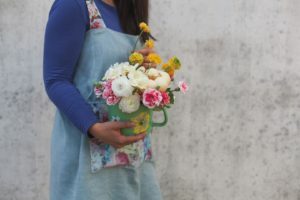 Natural Flower Party: a craft party with flowers! 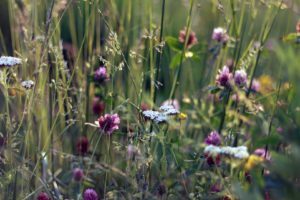 Creative walks: nature and fun for kids! What are the things to do in Treviso and the surrounding area? First of all, Treviso is a very refined and elegant city with a historic center that is very pleasant to walk or cycle around. Its streets are full of elegant shops and your day can be spent between art and culture. If the weather is not so good then there are interesting exhibitions or museums to see. Like Venice Treviso is criss-crossed by canals that divide it into small islands and at the same time give it shape and identity. 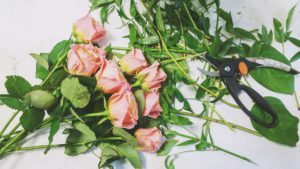 Treviso is famous for Prosecco and Treviso radicchio but it has a lot more to offer than these products. The Marca Trevigiana is the surrounding hilly territory, created by trees and vineyards. 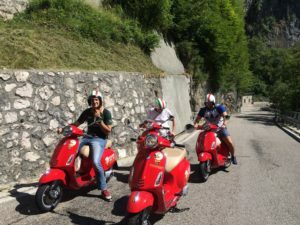 An outdoor trip on a Vespa rather than a bicycle on the Via del Prosecco, or a visit to the area’s enchanting medieval villages is a great option. Treviso is a very organized capital with lots of events always happening. There is no shortage of festivals, village festivals and parties to keep everyone happy: from children to the elderly. And if you want to relax in the quiet of the green Prosecco hills, why not indulge in a little pampering at the Revine Lago Wellness Center! Things to do in Treviso in bad weather. The complex of Santa Caterina with the beautiful afreschi of Sant`Orsola is a good thing to visit on a rainy day in Treviso! A walk through the historic town is always pleasant, because you can shelter under the numerous arcades that line the streets.Right in Piazza dei Signori is the Loggia dei Cavalieri, built specifically with imposing arches to allow the nobles to participate in board games while sheltered from the elements. Alternatively, you can take a break in an elegant tavern to taste some good wine with local cheese. A day trip is enough for you to discover the artistic beauty of the historic center of Treviso. Remember that the exhibitions at Ca ’dei Carraresi and the civic civic museums at the Santa Caterina complex are always worth a visit. 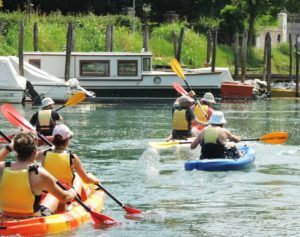 Things to do in Treviso with children. You can organize bike rides through the Treviso hills or along the towpaths of the river sile – a great day out for all the family. Or take a guided walk to discover the beauty of the local fauna and flora. In the city and the surrounding area, village festivals are often organized on the occasion of the patron’s feasts and colourful floats are set up at Carnival. Not only Venice dresses up for Carnival! For those with a sweet tooth there are plenty of interesting desserts to try in the pastry shops. 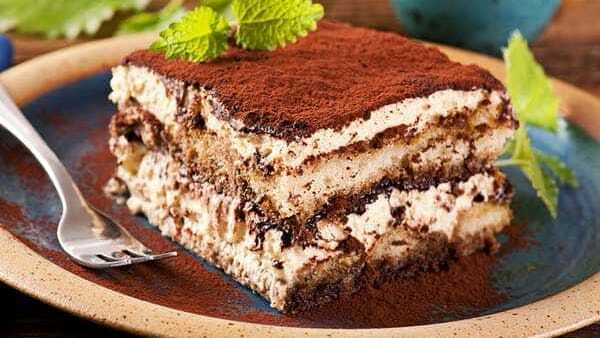 You cannot avoid eating Tiramisu in Treviso; that’s where it was invented !. There are always scheduled events that revolve around this dessert – cooking competitions and workshops throughout the year! 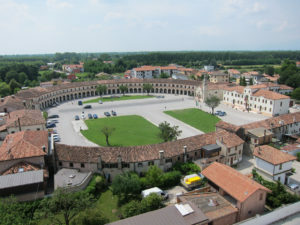 Things to do in Treviso surroundings? The province of Treviso is covered in green hills and elegant vineyards. This is the land of Prosecco, yes it is produced right her!. In recent years its sparkling bubbles have become internationally popular. 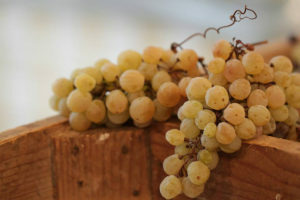 The Treviso area also produces other equally exquisite and renowned DOC wines such as: Valdobbiadene, Pinot Bianco and Grigio, Cabernet, Merlot, and Spumante .. to name a few. 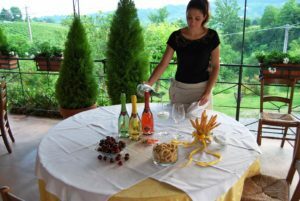 Don’t miss a visit to the best wineries to find out how to prepare, bottle and drink a good wine. You must also take the time to try typical products such as: radicchio, cheese, sausage and tasty cold cuts. The Marca Trevigiana is dotted with rural medieval villages with lots of character such as Asolo, and Cison di Valmarino. 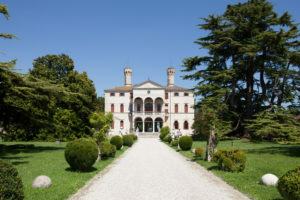 Bigger towns like Conegliano, Vittorio Veneto or Montebelluna are also worth a trip. Asolo is a small village perched on a hill in the middle of rows of vineyards. Famous personalities and poets have stayed here. Giosuè Carducci regarded as the official poet of modern Italy called her “City of a hundred horizons”. Explore these hills in a sustainable way by bike so that you can enjoy all that nature has to offer here. 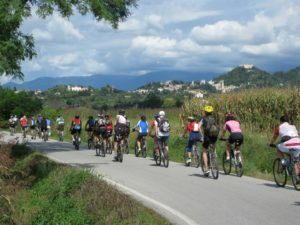 There are plenty of good cycle paths in the Treviso area: from the city centre, they pass through the hills and along the rivers. For those who do not want to struggle and pedal a fun ride on a Vespa will take you further afield to the mountains of Grappa and Montello. Also not to be missed is Cison di Valmarino, rightly called one of the most beautiful villages in Italy. 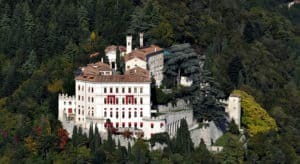 An unspoilt place dominated by Brandolini castle or better known as Castelbrando:. It is an elegant residence now refurbished and converted into a luxury hotel. In order not to miss anything, not far from Castelbrando, there is another natural, relaxing scenic spot by Lake Revine and Lake Santa Maria. 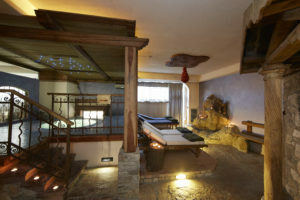 Here you can finish your visit to the Brand area by indulging in a bit of relaxation in the Prosecco hills, pampered in a luxurious wellness program in Treviso.Treat yourself to a relaxing moment in the prosecco hills which can truly regenerate the mind and the body. In the up market restaurant of the resort enjoy typical local dishes. If your stay takes place in July, don’t miss the Film festival that takes place in the Revine Lago hamlet every year. Things to do in Treviso on New Year’s eve. New Year is a good time to go to Treviso! The people of this city are always very organized and there are numerous events and celebrations even during New Year’s Eve. Do not miss the party in Piazza dei Signori which brings in the new year. There will be no shortage of fireworks to colour the sky and celebrate the new year. Treviso is beautiful in all seasons, there are things to do both in the cold and in the heat but in winter equip yourself with heavy clothing. 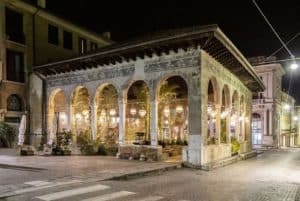 To end the evening in a different part area of ​​Treviso you can continue to celebrate in one of the bars that are located in the Foundry area and that always stay open until late. Otherwise, book early to access some private parties in one of the many Venetian villas, located in the area.